As I catch the train back to the airport, I have a few minutes to compose a quick reflection to EduCon. 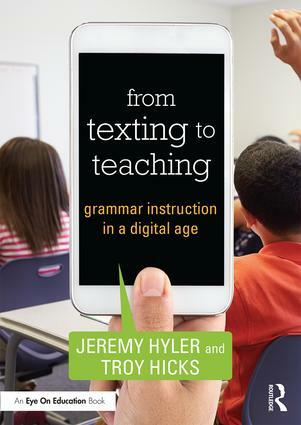 All in all, I found the weekend to be highly engaging, both in the “techie” sense of learning about some new digital writing tools and angles to think about teaching, especially copyright and assessment. Also, it was a great opportunity for professional networking, and I finally met many of the people I had only read or heard online. Yet, I also leave in some ways slightly disappointed — not because of the conference itself, exactly, but because I am beginning to really wonder, deeply, about the work that we do as educators and why the changes we seem to clamor for are not happening. Big questions, I know, but ones raised at the conference, and ones I will write my way into thinking about below. So, first a few points that I want to highlight. First, a tool. Along with the professional conversations and connections that emerged — with many thanks to Bud — the one new tool that I picked up was TweetDeck. I have been on Twitter for a long time, finally syncing it up with my phone last fall. I understood the value that others found in using Twitter as a part of their personal learning networks, yet the interface that I had (as a sidebar in Flock) was still not useful for me in the sense that I could not really stay on top of tweets and really see what was going on. A number of people this weekend were using TweetDeck, and I downloaded it, finding it to have a clean and fun interface. It notifies me when new tweets come in (a feature I may have to turn off since I get email notifications already that sometimes drive me nuts). 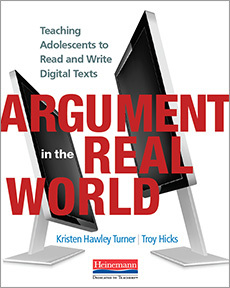 I am still not quite sure if and how I will introduce Twitter as a digital writing tool to my pre-service teachers this spring, but I can see it as a part of our writing project network this summer, so it is good to have this tool as an option. The second point came from the session by Kristin Hokanson and Renee Hobbs about clearing up copyright confusion. Paul, Christina, and I talked on and off after this session about how we just didn’t understand fair use and how the idea of “transformation” both strengthens arguments for having students do compelling work with copyrighted material, but also makes us wonder what it means for something to be “transformative.” Still, there are a number of resources that I need to explore on the Media Education Lab website and think more about the implications of this, especially as I move to teach digital storytelling this spring. Also, check out TTT from a few weeks back as another entry point into this conversation. The third point that came clear in a session today about assessment by Konrad Glogowski. Wow, he made assessment seem so straight forward. My take away from this session: We are never, ever going to be able to measure digital learning in a standardized assessment. I know that everyone is trying to figure this out, including the most recent attempt by Microsoft and others. 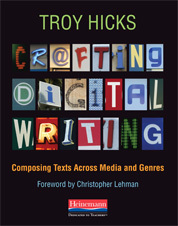 And, I think that those types of tests can measure some particular 21st century/digital writing skills. Yet, he talked about the dispositions that students need to have for 21st century learning, and the ways that teachers need to reply to students in order to give them substantive feedback. Tests made to be taken on a computer and never seen by human eyes are just not going to measure these dispositions. There were many other great sessions, and I am just going to have to look back over my notes to think about everything from them. But, for now, my final point comes from the combination of many speakers that we heard over the weekend, especially those on the panels. I begin this point by saying that all of these individuals are highly-accomplished in their fields, all deserve our respect, and I listened attentively to what they all had to say — from local school district officials to professors to consultants. They all made empassioned, although sometimes different, calls for innovation in education. Prakash Nair, for instance, has collected a number of them in his 30 Strategies booklet. Powerful to hear, useful to think about. Yet, in all of these conversations, all of these ideas, I am still just not hearing that we are going to actually do something. Yes, the teachers at SLA, and others in other schools with pockets of innovation are doing things, and that is incredible given the odds that some people face. So, in the week of the most historic innauguration in our lifetimes, I am still sadly disappointed — and perhaps becoming a bit cynical — that anything is ever really going to change. Why? Because “the system” (with scare quotes intended, because it was called that throughout the weekend) is actually not failing. It does exactly what it was designed to do — segregate, relegate, castigate. There are others who have captured this idea with more data to support their argument and eloquence to bring the point home. So, I know that what I am saying here is not new, or revolutionary, but this weekend I just felt the sharp pain of having little to no power to enact change, despite the rhetoric of change and good examples of pockets of innovation presented this weekend. Sorry, just had to vent a bit there. But, I also vent in the context of my airplane reading of Don Tapscott’s latest book, Grown Up Digital. He makes a pretty compelling case that all those who bemoan the amount of screentime and lack of effective communication skills that this generation will have are wrong. Hurray to that. More importantly, after debunking the critics, he also makes it clear that business that are not adapting to the Net Generation are fading fast (for instance, he cites the corporate culture of Best Buy as one that has adapted to the Net Gen, and Circuit City as one that has not). 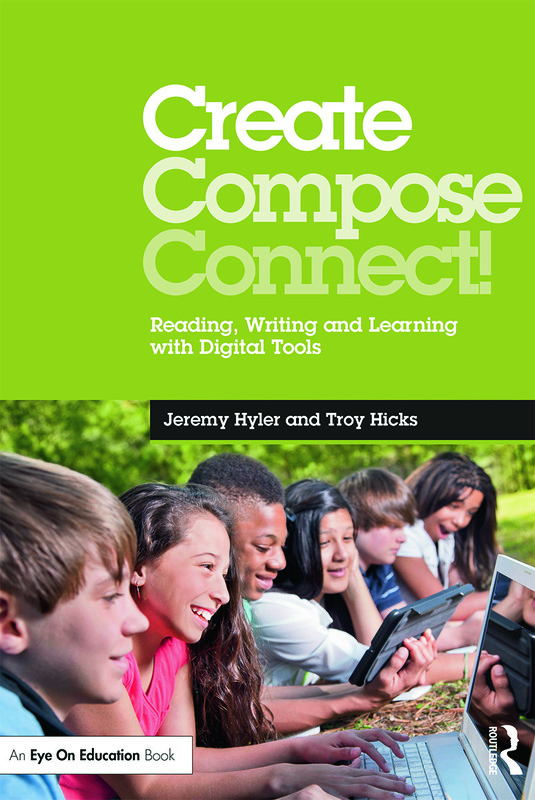 In fact, the book has an entire chapter on education, ending with the chapter with descriptions of “2.0 Schools” in which individualized learning plans, laptops, and personal attention are the norm. The implied message is, of course, that other models of schooling will soon fade away. Perhaps… Perhaps not… But, certainly something to think about given all the conversations in which I have participated this weekend, especially the many led by SLA students as well as the studnets that Antonio Viva skyped into his session. 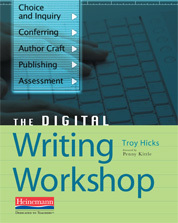 So, in terms of digital writing, and teaching digital writing, where does this weekend leave me? 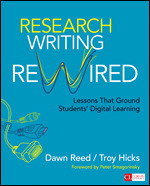 Well, along with making a new commitment to participate in Twitter and, as Bud says, “not dissappear,” I am also going to begin thinking about how to really get my pre-service teachers to write, learn, and collaborate with the tools that I introduce to them — blogs, wikis, and Google Docs — by engaging more with each other. Even though I have been using these tools for years, I am still not confident that I am enabling a writing community in the best way that I can. And the one key theme that I got from being at SLA, listening to the teachers and students at the conference, and the whole idea of EduCon was that we need to really see students for who they are and help them grow individually and as communities. The tools are just a part of that process. With all this in mind, I now have to turn my attention back to more writing for the books, planning for class and my students’ midtier placements, and getting a writing project up and running. I look forward to continuing a most busy, and engaging, semester. Thanks EduCon and SLA — I appreciate the opportunity I had to learn with you this weekend, and those yet to come in the future. What impact does a blogging community have on the role of the teacher? Is this evidence of learning? Rubrics, too, only focus on what they can not do and not on what they can do. If there is no score, what are they working towards? Where am I going, how am I going, and where to next? How will I nourish it and help it grow? As a blogger and writer, what will I do? How will I support my peers? What is the role of the teacher in the 21st century classroom? What are your experiences with assessment as a student? What are the benefits of a learning story approach? What are the drawbacks? To what extent do your current assessment practices promote resourcefulness and agency? Detailed and timely feedback can be time consuming — how do we do it? How do we educate our students for success in the web 2.0 world? Can we harness the power of social media to provide students with a vehicle for exploring and creating original content? What is the basis of the new humanities? What do we want to communicate? To whom and how best do we communicate this message? What have you learned as a part of taking the class? What has changed for me is that I am a lot more willing to put myself out there for people to examine and I was questioning my own ability, but there are so many ways to express yourself in writing. I am more able to accept criticism now and having a good support group from peers and teacher. Before the class, I thought that it was limited and you had to just write, but now I realize that writing is more about expressing and getting the word out there about something that you care about because people will listen. Writing is important, and I respect it. It is more of an art than I thought it was.